Many New England residents live in older homes with unfinished basements. Most foundations were built from stone, often breaking down and repurposing stone walls in Massachusetts. Although it is the norm these days to convert basements into an entertainment room or “man cave”, many have forgotten just how much of an effect their basement has on the energy levels of their entire home. Even if you are planning on remodeling the basement or keeping it just for storage and a laundry space, it is highly important and effective to review the heat loss and gain and take the necessary steps to block those leaks. Starting from the bottom, if you’re planning on keeping the concrete pad of floor consider having it topped off to seal off old cracks and gaps that are letting in moisture. If you’re working towards another usable living space, insulating the floor would make a huge difference in the room’s temperature. Before starting this, however, check the current concrete floor and the bottom of the walls for any cracks and gaps also. Placing insulation on a damp floor is a perfect breeding ground for mold and bacteria thus costing you more down the road to have repaired. Once the floor is set, perform the same actions on all the walls. Fill in cracks, insulate electric outlets and around dryer vents. Massachusetts and other New England state residents are veterans of the winter war. Each year to are https://sundialbp.com/wp-content/uploads/2015/02/Basement-Insulation.jpgready to face it and are never disappointed by the fight Mother Nature puts up, they’re peeved (to put it politely) but never disappointed. After a harsh winter, one area of their homes they might not have seen for a while due to the snow is the lower foot of their homes, where the basement windows live. Needless to say, these windows are extremely vulnerable to damage. So, ask yourself first, do you really need these windows? If not, have them boarded up or filled in. If you prefer to keep them, seal them. The cold air finds ways of creeping in around those windows and it is not pleasant. Find the strongest weatherstrip you can get, use the most flexible, shatter-proof, thickest glass you can find, fill in any cracks around the window frames. On top of that, there is no harm in having thick, custom made curtains that attach to both top and bottom of the window. They block the light for daylight movie watching, just a thought. Now on to the ceiling, you might be thinking that the ceiling of the basement is the last fighting chance of preventing any cold air entering your home. Well, let’s think about it for a second. When air sealing and weatherizing your home, your focus is on the outer shell of the home because it is the outside air conditions that you are trying to prevent getting in. This is the same for the basement. Focus on the exterior perimeter of your house around the basement walls to ensure there is proper ventilation and water has somewhere to go other than in your basement. Focus on the above-mentioned weather stripping, sealing and caulking on the floor and walls. The ceiling does then not need to be touched. Unless of course you are disgusted by how it looks then that’s just a cosmetic issue but insulating a ceiling will prevent vapor from passing through thus building up moisture in the basement and not long after, the development of mold. It has also been proven that basement ceiling insulation does not have any bearing on the cost of your monthly energy bills. So, people of Boston, Leominster, Fitchburg, Framingham and all-around Massachusetts are insulating their home but just maintaining cracks and draft spots in their basements. They have their warm blankets for those bitterly cold football games anyway so if basement entertainment room movie night is on the agenda, out come those blankets! The state of Massachusetts is no doubt one of the most beautiful in the country. From the breathtaking bays in Boston and all along the coast, to the rolling hills of Worcester County, Fitchburg and Leominster and The Berkshires in the west, Massachusetts epitomises New England. However, while beautiful, due to its location Massachusetts is vulnerable to extreme weather conditions. The infamous Nor’easters, harsh winters, and hot summers mean that The Bay State residents need to take good care of their homes so they don’t end up forking over loads of money to repair damage caused by these weather extremities. Weatherization involves protecting the building’s exterior from the elements – in particular rain, sunlight and high winds. Weatherization can be expensive, which is one of the main reasons that people don’t think of it as a high priority, even though not having effective weatherization can cost you far more in the long run. Mass Save has partnered with lots of companies in order to save you money when insulating or weatherizing your MA home. Weatherization is a complex procedure, with many aspects that need to be considered, which is why it’s important to employ the help of local Central MA insulators to make sure the job is done properly. Typical aspects of weatherization can include sealing gaps around doors and windows, ceiling lighting fixtures and air ducts which can account for 20% of heat loss. This is important for people living in MA as the winters can get very cold and when those high winds blow in from the North East, you will be incredibly grateful that your heat loss is at a minimum. The process of weatherization can also include protecting pipes from freezing and bursting, installing insulation in walls, floors, and ceilings – as well as making sure the area around air ducts and pipes are properly insulated. Insulation serves a two-fold purpose, to hold the heat in when it’s cold out, and to keep the house cool when it’s hot. Replacing old doors and windows is also a common part of weatherization as houses which lack double glazing are far more prone to heat loss. Insulating your MA home will not only keep you warm during the winter but can also prevent your house from becoming too hot when the warm summer days finally roll around. Although proper weatherization is important in all homes across the United States, in places like MA, it can be even more crucial, due to those extreme weather conditions that are found here. Each house will have its own specific requirements to completely weatherize it, which is why it is important to get a consultation from a qualified MA insulator. They will not only be able to tell you what needs doing but the estimated cost of what needs doing. Making sure you go for a local company will mean they understand the climate of MA and if they are partnered with Mass Save then you may even get it cheaper than going elsewhere. Any homeowner will tell you the repairs, maintenance and upgrades are never-ending. They spend a lot of time and money on finding the perfect appliances and furniture, beautifying any yard space if they have it, keeping up on outward appearances. All of this is not for the sole purpose of having a beautiful home but to continue increasing the value of the home for possible resale or loan warranty. Rarely do you hear the phrase “I got this beautiful new insulation for my home” maybe because it’s not glamorous? Home insulation, however, should be a huge topic of discussion, especially these days when cars and homes are being made energy efficient and classified as such. Money lost through poor insulation. Home insulation from open-blow cellulose attic insulation, dense-pack cellulose wall insulation to air sealing and general weatherization is all geared towards maximizing control on the flow of heat through your home. It keeps heat in during the winter and hot air out during the summer, acting as a barrier. Today’s home buyers are not only looking for good value for money but unless their job is to fix one up and make a profit, most people want a home that needs as little work done as possible. This includes insulation. When a new home has been built with complete insulation or an older property has been properly fitted with the optimal amount of insulation this is an added feature that will most certainly be included on the seller’s listing thus adding more value due to its demand. Not only that but complete home insulation plays a huge role in lowering the cost of monthly energy bills thus saving money for the current and potential homeowner. According to a survey held by the National Association of Home Builders, energy efficiency is the second highest influence purchase decisions, after community safety. Residents of New England for example, are all too familiar with the impact of four seasons, most notably winter.Having insulation installed on an older home can be a pretty hefty cost. However, residents of Massachusetts, not long after beginning research will quickly learn about “Mass Save”. Mass Save is in partnership with a number of natural gas, electric utilities, and energy efficiency service providers to bring rebates, incentives, training and information to communities all across Massachusetts encouraging homes and businesses to upgrade their energy efficiency. If you are Massachusetts resident, you might be eligible to receive a zero-interest loan from a Mass Save program. One such company in partnership with Mass Save is Energy Protectors. They reach clients from Boston, to Fitchburg to Leominster down to Worcester County across to Framingham who are optimizing their homes and businesses to increase property value and/or lower their monthly energy costs. Energy Protectors offer a no-cost home energy audit to determine where and how much heat you are losing. Their infrared imaging allows them to physically see where you are losing energy and not surprisingly, it is usually the worst around doors and windows. This is where their expertise in air sealing, attic insulation, exterior wall insulation come into play. After completion of the agreed to installations, they perform another test.So, if you’re looking to insulate your home in Boston, Leominster or New England in general, contact Energy Protectors or Mass Save now for a consultation and be proud to show off this new feature of your home. Insulation is often one of the most overlooked aspects of a house but is potentially the most crucial. Insulation is what helps keep the heat out in the summer yet keeps it in during the winter months. Many people forget about it or take it for granted, perhaps it is something to do with the phrase ‘out of sight, out of mind.’ However, it is not something to be taken for granted and with winter fast approaching now is the best time to get your MA home insulated properly. Without proper insulation, you could be losing up to 80% of your heat in the winter and air conditioning in the summer – think of that in terms of money, up to 80% of your heating bill could be wasted! The main purpose of good insulation is to create a barrier between the external world and the interior of your home. Exterior walls make up the largest portion of your home which is connected to the outside world, and therefore one of the most important places to get properly insulated. Insulating is a quick and straightforward process, however, it is one that should be completed by an experienced insulator, using the correct tools. Exterior walls are usually filled with spray foam insulation due to the ease of which it can be installed. This spray foam will seal any cracks and voids throughout your house, making sure that air isn’t getting out or getting in unnecessarily. This type of insulation will also help to create a more consistent temperature within your home, without the need for air condition or central heating. Spray foam insulation can also reduce moisture in the home, meaning areas which are prone to condensation could become less of a problem. This is especially useful in old MA homes which can become damp and often have problems with mold and mildew. Many of these places which are prone to condensation such as bathrooms, utility rooms, and laundry rooms have exterior walls and often come with air ducts or vents built in. This is a problem because the walls around vents or air ducts often aren’t insulated properly meaning this is a hotspot for air to get in or to escape. Getting proper insulation around any problem areas is especially important to consider. Problem areas can include air ducts and vents, windows, and doors. Because these parts of the house are designed to let air in or out, contractors don’t always fully insulate these areas which are fundamental mistakes. Even though these parts of the house are designed to let the outside in, it doesn’t mean the area around them shouldn’t be properly insulated. In fact, because these areas are already fairly exposed to the elements, the insulation around them should be even better. Make sure you look for a qualified insulator who can do an assessment of your house and decide what kind of insulation you will need. 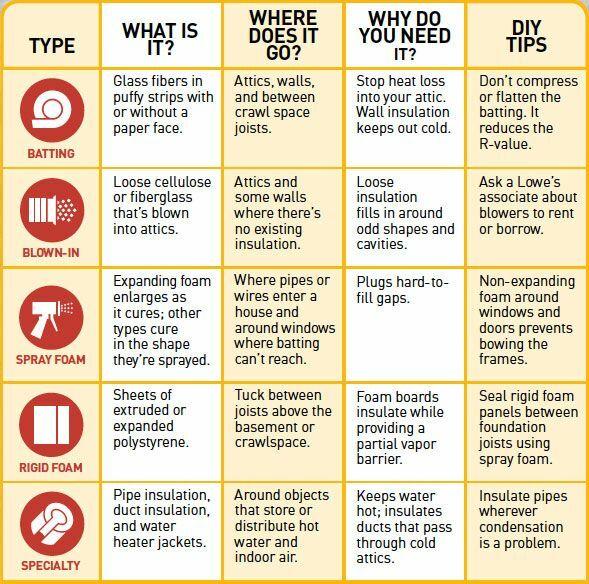 Home Insulation – DIY or Pro? New England residents are all too familiar with the impact of the four seasons, most notably winter. Each year they see the common sights of salt mounds, signs searching for truck drivers with snow plows, weather forecasters predicting the possible blizzards ahead. They’re preparing the not-so-long forgotten winter boots, hats, scarves, gloves and down jackets. Another winter busting method folks are taking care of is their home insulation. After a grueling winter when the last of the snow has finally melted and the Red Sox are in Spring training, Spring cleaners are also assessing any damage caused to their home from the heavy weighted piles of snow and sheets of ice underneath. They’re also going through finances in preparation for tax season hoping for a nice refund to finally get the house properly prepped for what will inevitably be another cruel winter. Prepped by revamping their home insulation. Home insulation, in case you’re unclear, is not just for winter. It acts as a barrier to prevent heat from getting out in winter but it also helps keep the heat from getting in during the summer. Much like an insulated drink container that can keep hot and cold beverages at optimum temperature. 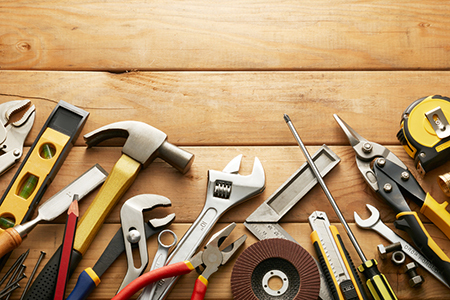 Homeowners quickly learn how to make simple repairs and updates around the home lest they spend more money than they would like on professional help. Home insulation, though many have tried, is one of those big ones that can and should be done right, with the help of energy efficiency experts. A quick trip to the hardware store leaves you feeling a little dumbfounded with R-value differentials, flame retardant grades, water-resistant levels, not to mention cellulose, fiberglass, foam spray. Before you can even think about what materials you need and at what level you first have to perform a complete evaluation of your entire home. If you’re going to insulate your home, you might as well get the whole hog, right? Review your current insulation as there might be old materials in need of replacement. This includes insulation in your attic, walls, crawlspace, basement ceiling, the insulation around pipes to name a few. Be mindful of old materials as there may be harmful substances such as fiberglass, mold, mildew, animal infestations etc. The eave vents in your attic might benefit from baffle insulation. Then there are the seals around lights, vents and windows and doors. All this on top of keeping up with current building and energy efficiency codes. Cutting corners on this might have negative effects on the value of your property. If you have the time to the research, or already have the know-how. And you have the correct tools for each job plus the finances required to make all the product purchases then, by all means, have at it. For the rest of us, we’ll be sticking with the professionals. If you live in the New England area, or more specifically Massachusetts, you might be happy to learn about a state incentive program called “Mass Save”. Mass Save collaborates with gas and electricity providers and energy efficiency experts to provide services across the state for homeowners looking to make improvements to their property. They offer incentives, rebates, and information, discounted services to qualifying applicants and more. One of the Mass Save partners is Energy Protectors. If you can’t wrap your head around open-blow cellulose attic insulation, dense-pack cellulose wall insulation, air sealing or home weatherization in general, let the people at Energy Protectors handle it for you. They have helped people from Boston, to Framingham, to Worcester, to Fitchburg not only improve the control of heat in their homes but also cut costs on their energy bills. The offer a no-cost home evaluation service to gauge just how much your home needs. Once work has been completed, they perform the tests again to see the difference. So, to sum up, a simple online search for example like “insulate my home in Boston” can lead you to someone who can get the job done efficiently, effectively and at a lower cost to you that can also save you money from month to month. A “how to” search can lead you down a long, arduous, costly road that might end up hurting your home’s worth. I know which one I would choose. If you are looking at your energy bills, you may be wondering what you can do in order to save money. 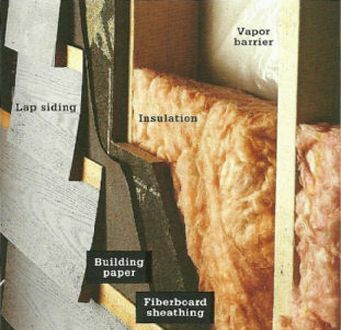 You may have tried a lot of things, but you may not have thought about the insulation in your home. By getting an energy assessment like the one offered by Mass Save, you are going to find ways to reduce your energy costs. Insulation is an amazing investment that will not only save you money but it will also help increase the value of your home. However, the quality of insulation is going to make the biggest difference in your home. The fact is that not all insulation is created equal. Insulation is rated by its R-value, which is a measurement that lets you know the quality of insulation you are using. The best insulation available is the insulation with the highest R-value. This value shows the insulation that it provides and its blocking capacity. The different R-values can be seen in the different materials that the insulation is made from. There are other factors that determine the R-value of the insulation, such as where the insulation is installed, the quality of the installation, and the thickness of the insulation. High-quality insulation means nothing if it was not properly installed as this can create areas where the heat or cold air can escape from the space. By visiting the Department of Energy website or by following the recommendation of the Mass Save assessment expert, you can find out what the minimum R-value that you need is. There are a few different types of insulation that you can look at to improve the energy costs in your home. One option is wall insulation, which has a couple of different options depending on the wall type that you have in your home. If you have a gap in between the outer and inner leaf, you can get cavity wall insulation where the insulation is inserted through holes that were drilled into the wall. (These are filled in afterward by cement). If not, you can get solid wall insulation. There is also a warm loft or cold loft types of insulation installation for the roof. There is also floor insulation, door insulation, and window insulation. Insulation is crucial for temperature control in the home. When you have the proper insulation in the space, you are going to have a more energy efficient home that is comfortable all year long. There are some important things to consider when you are debating about adding insulation to the space. Walls without proper insulation can allow a house to lose around 30 or 40 percent of its heat. A poorly insulated roof can allow for about 25 percent of heat loss in the home. Windows and doors without proper insulation can cause heat loss of around 20 percent. Consider this next time that you notice an incredibly high energy bill that you may worry about being able to afford. Good insulation can make all of the difference in the world. When you are talking about materials used to create your home, you may hear the terms “air barrier” and “insulation” without fully understanding either of these terms. These are two things that are vastly different from each other, meaning that understanding what they mean is important to ensuring that your home is as energy efficient as possible. Here, you are going to learn all about both of these options so you can make an informed decision on which products are used in your home. Insulation typically refers to what is known as continuous insulation, where there are layers of insulation that continue throughout the rest of the building. These are here to cover structural things like the framing. It will cover the highly conductive areas, which will prevent a direct short circuit from the outside through to the other side of the structure. The insulation is what is responsible for allowing the energy to transfer through the building as well as inside and outside of the building. Reducing the energy transfer between the empty space. Good insulation is responsible for controlling the moisture, heat, and air to increase the energy efficiency of the building. There are different types of insulation out there, so you should do your research to figure out which one will best meet your needs. Air barriers are generally created from a variety of different materials. These materials can include insulating and non-insulating board stock, self-adhered membranes, and fluid-applied materials along with a mechanically-fastened building wrap. There are very strict air permeance requirements for good air barriers. These barriers are installed by continuously wrapping these items around a structure, which creates an air-resistant and protective membrane. 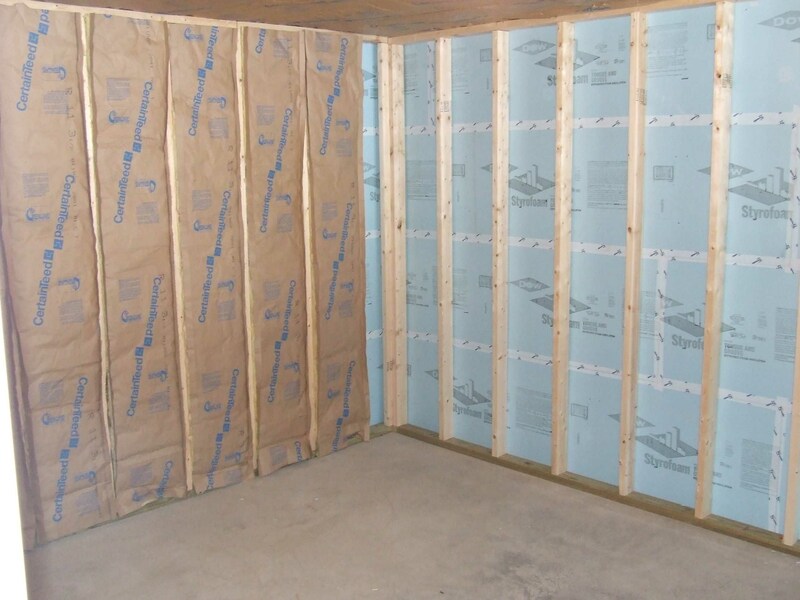 Air barriers are sometimes used in the foundation, but they will primarily be used in the walls and the roofs. Each of these items has their own purposes in the construction world. An expert installer of insulation can let you know which of these options best meets your individual needs for your building. There is a lot of things to consider, so speaking to a professional is going to give you the answers and advice that you need to make such an important decision. Often times, these two concepts are something that many people outside of the industry confuse. However, problems can arise in the home if you use the wrong option. When people are considering upgrades to their home, admittedly one of the things that they do not really think about is the insulation in their home. The problem is that this can be a big mistake on the part of the homeowner. There are a lot of homeowners in the country that have insulation that is not sufficient enough for their home. In fact, you should know that getting high-quality insulation in the attic can give you a nearly 117% return on your investment. This means that you can actually get more for your home with high-end insulation. Attic insulation actually gives you the biggest ROI when upgrading your home. So what makes getting insulation so great for your home? The biggest thing is the energy savings that you will find when upgrading your insulation. The reduction in energy costs is something that will really make homeowners happy. Good insulation means that you get to keep the heat or cold air in your home with less seeping out, which means that you will spend less on heating or cooling your home. As energy costs seem to continually rise, the investment of good insulation certainly seems like the best choice for your space. w you can upgrade it. There are even tax benefits that you can get from energy-efficient upgrades like insulation, where you can get up to 10% or $500 for your insulation upgrades. Now you will want to know what you should be looking for in insulation. When looking at insulation, you need to look at the R-value of the insulation. The higher this R-value is the better quality the insulation is. It is especially important to focus your attention on your attic insulation. 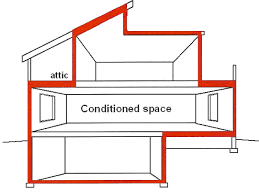 There is a lot of heat that can be lost from the attic as your warm air is going to go through your cold ceilings. You should also pay close attention to having excellent wall insulation, heating duct insulation, and heating pipe insulation. If each of these areas has great insulation, you will find that your energy bills are going to be much more affordable. As a homeowner, one of the biggest things that you aim to do is to reduce your bills as much as possible. Things like upgrading your insulation can be a big help when it comes to your monthly bills. If you want to know if you need better insulation for your home, an energy assessment can identify any problem that you may have and they will do it for free when you go through programs like Mass Save.